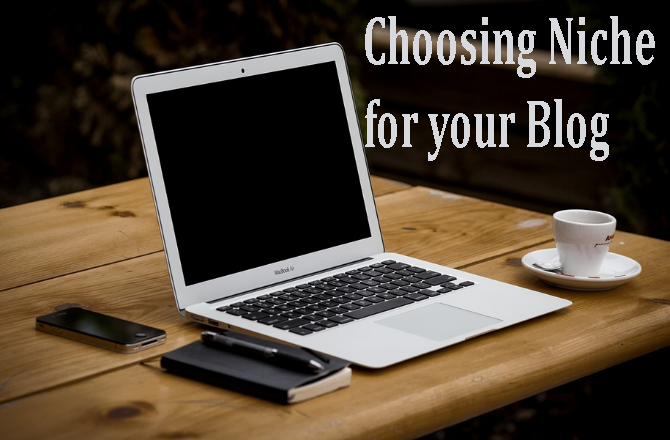 Choosing the Topic or Niche of your Blog. - CarseNoodle :: A Blog About Blogging And Earning Money Online. Home > Blogging > Choosing the Topic or Niche of your Blog. The basic part of your pre-blogging to do list includes choosing the right niche for your blog. Niche is the category or area about which you are planning to write articles. While choosing the niche you must be careful and should think twice or thrice. Content is the fuel for your online blogging journey. Your blog will not survive without contents. If you choose a wrong niche then the result would be you will end up with content after a certain number of articles. To write contents without effort you must choose the niche that suits you most. After reading above you may want me to tell you a good niche that you can start a blog. If so, then you are wrong. I can't decide the best niche for you. You must do it alone with guidance, which I am providing here. The best blogs are those that are born on the hobby of the blogger. This simple sentence is the best answer to the entire niche finding question. You should try to blog on a topic you love the most. Start writing about the things you are passionate, you are very interested. This way you will never end up with article ideas on the specific topic. You can always find new activities to enjoy the hobby. The second important part while choosing a niche is Knowledge. How much you know about the specific topic you have chosen. If you have lack of knowledge then the result will be a lack of article or article with less quality. But this is not a minus point. You can gather knowledge about the specific topic. By reading blogs, interacting with bloggers of the same niche you can gather the required knowledge for blogging. What’s your writing capability on the topic? This plays an important role, so never ignore it. You must have the knowledge and interest that you can write effortlessly in the niche you have chosen. If you have to work hard to write articles in the niche then you cannot provide many contents. And, people want to read, visitor comes to your blog to read something in the niche. If you can't give them a purpose to stay on your blog, they will leave to another. Popularity is also a factor you should pay attention while choosing a niche. You are creating a blog thinking that you will share your contents with readers, a huge list of readers. If no one interested in the topic you have selected then it will be a waste of your hard work. Also, if you don't choose a niche that people are interested to read then you cannot earn money blogging. Some popular niche that can be profitable is Blogging, Earn Money Online, News, Education, Health, and relationship. This is only few I am listing as a reference. To know your selected niche is a popular one or not you can use keyword research tools. The search volumes of the keywords will tell you the monthly search traffic for the niche on different keywords. Keyword analysis also plays an essential role in search engine optimization of the blog. I recommend you to choose topics or niches that are evergreen. Not like news niche, where no one visits posts after a certain time. Choosing an evergreen niche like blogging guides to help you go for a long run with little investment of time. You only should keep in mind the other options above while choosing the niche. Still, the main way is to find a niche that you are interested the most and have enough knowledge and can write articles effortlessly. So, before going to the further steps towards blogging choose a good niche and think about it.